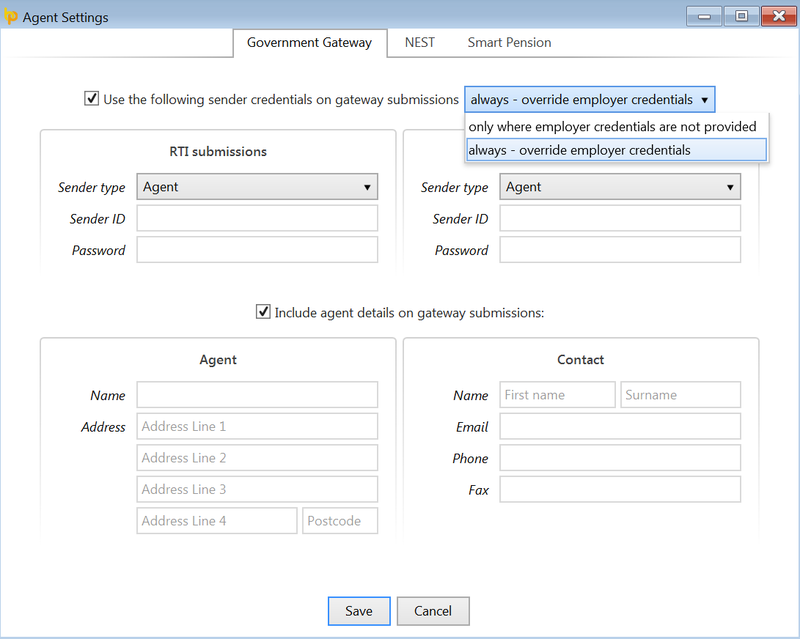 Bureau users can use the 'Agent Settings' utility to instruct BrightPay to use their own sender credentials and include agent details on all RTI submissions. To instruct BrightPay to use agent credentials, go to File > Agent Settings > Government Gateway. Tick to indicate that you wish to use the sender credentials on gateway submissions - you can choose to 'always - override employer credentials' or use 'only where employer credentials are not provided'. Enter the relevant information > 'Save'. Bureau users can use the "Agent Settings" utility to instruct BrightPay to use their own Nest delegate credentials on all Nest submissions. To instruct BrightPay to use the delegate credentials, go to File > Agent Settings > Nest. 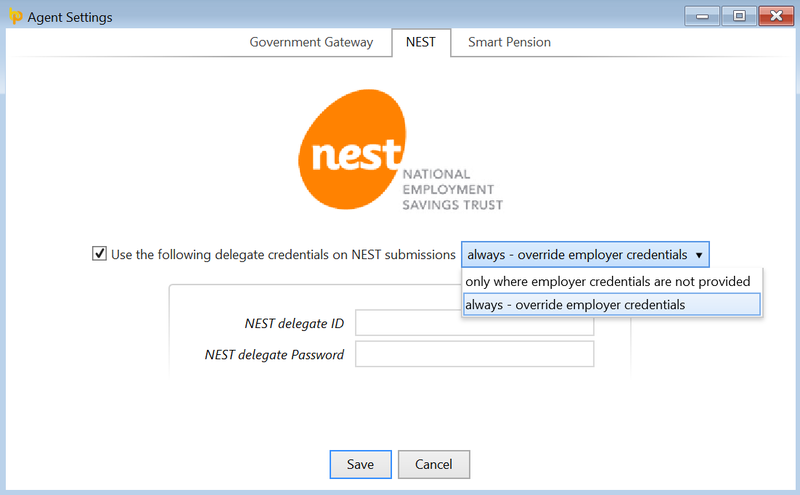 Tick to indicate that you wish to use the delegate credentials on Nest submissions, you can choose to "always - override employer credentials" or use "only where employer credentials are not provided". Bureau users can use the "Agent Settings" utility to instruct BrightPay to allow them to log into Smart Pension as an 'Advisor' by default. To instruct BrightPay to do so, go to File > Agent Settings > Smart Pension.